Designed by global design and consulting architecture practice Woods Bagot, the new Qantas London Lounge is the perfect showcase for contemporary interior design, and world class service. 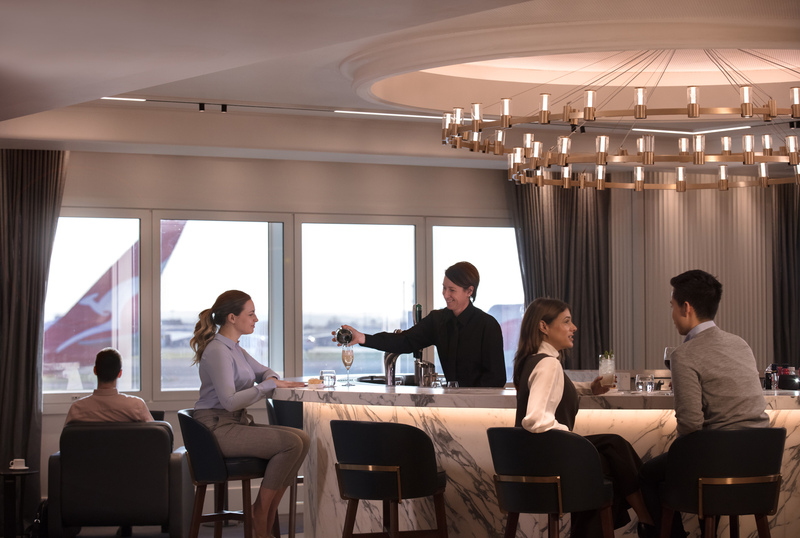 The latest of Qantas’ international lounges, the London Lounge was designed collaboratively by Woods Bagot’s London and Sydney studios, and has now opened at Heathrow Terminal 3. 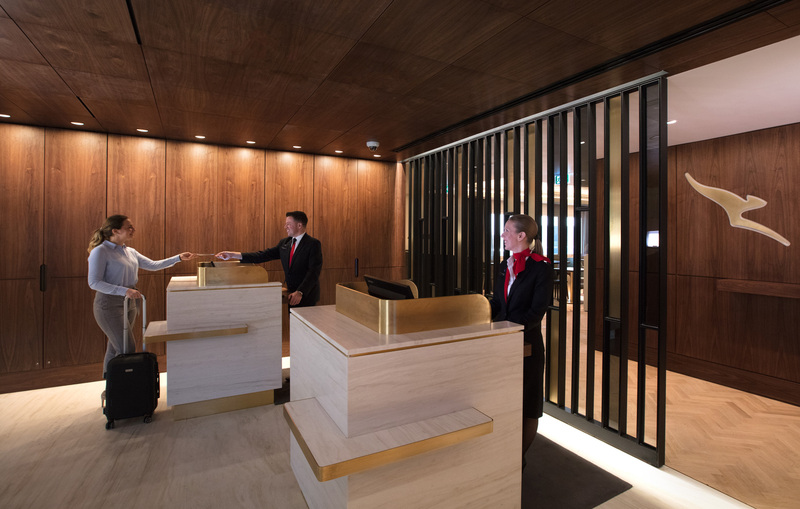 Nestled within the terminal, the Qantas London Lounge is open daily to Qantas customers who are travelling in First and Business classes, as well as to customers who are Qantas Platinum One, Platinum and Gold Qantas Frequent Flyers. Wood Bagot’s design concept for the lounge tries to reflect the distinct elements of the city of London. 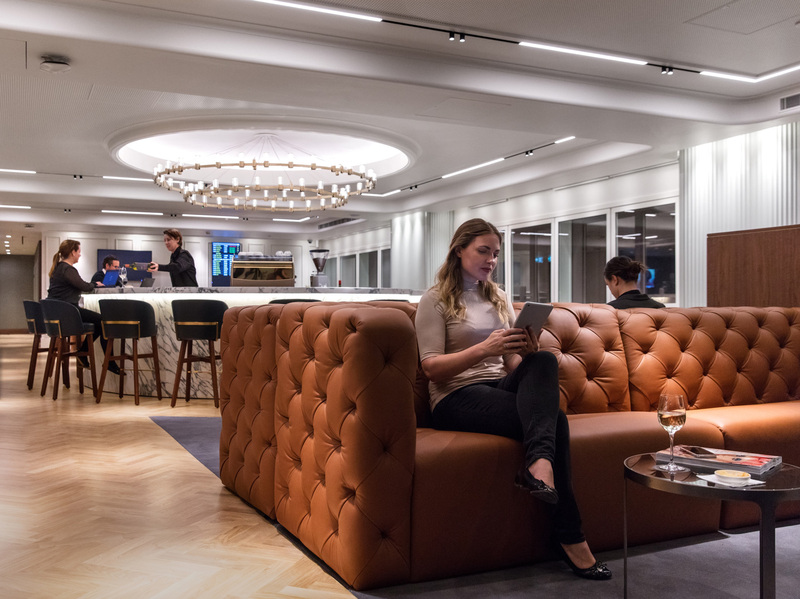 As well as being an evolution of Qantas’ flagship lounges, which can be found around the world, the London Lounge takes inspiration from the city’s rich history and culture to give customers a sense of place. 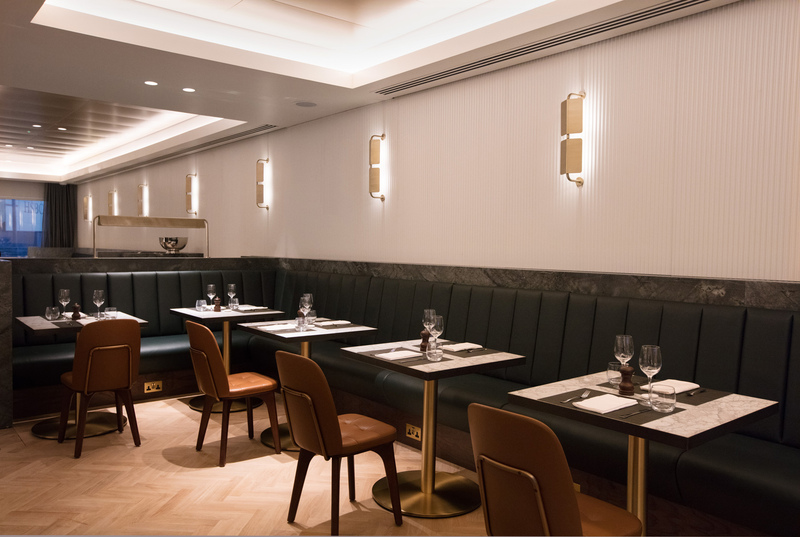 London’s famous architecture has become the guide for the finishing touches on the Lounge, including the earthy materials including warm timber, brass and leather that have been used. Other elements of London have also made it into the design; the River Thames is referenced in the use of deep green leather and rich blue upholstery, as well as the soft lines and fluid curves of the rounded walls. These techniques were also inspired by the aircraft that can be seen outside the London Lounge’s windows, and use the space just as craftily. A sculptural staircase and a double-height, terrazzo-clad void joins the two floors of the Lounge, creating a connected social hub. 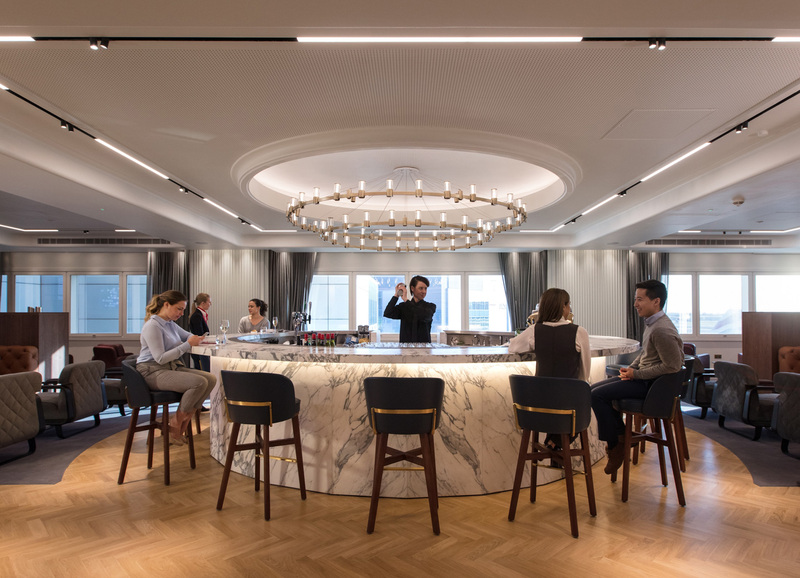 Although the space is connected and open, part of the brief for Woods Bagot was also to make sure the Lounge created a feeling of intimacy for its guests. Each customer’s journey begins on the first level, which provides an inviting reception space that effortlessly moves into an area where guests can choose food and drinks. Meanwhile, the area on the second level of the lounge has become a space where customers can work, rest or socialise – customers who are eligible to enter the lounge are also welcome to bring their own guests, whether these be business partners, family or friends. Another feature of the second level is the sleek cocktail bar; a round marble counter underneath a brass chandelier makes up the majority of the bar. Here, guests can relax and enjoy the views that surround them.